WA WORK is a series of short film portraits of workers in Washington state that capture the meaning of work in their lives and the challenges they face in getting through each day safely. Inspired by the tradition of the American photo essay in the 1930s, ’40s and ’50s, WA WORK is a series of intimate cinematic portraits of everyday working people in Washington state. Seen together, they form a robust tapestry of the American workplace and what it means to be an American worker in the 21st century. The following films are intended to be launch vehicles for discussions about the place of work in 21st century America. Download a WA WORKS discussion guide. 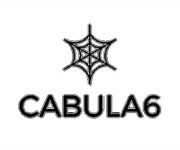 WA WORK is a collaboration between the Washington State Labor Council, AFL-CIO and the film/performance company CABULA6 with funding and support provided through a grant from the Safety and Health Investment Projects program at the Washington State Department of Labor and Industries. DIVE — Hydrodivers (IBEW Local 77) at the Rocky Reach Dam, who work for the Chelan County Public Utilities District, talk about the trust co-workers have to keep each other safe in very dangerous working conditions. CARE — Colleen, a home care worker (OPEIU Local 8), describes the “privilege” of being allowed into her clients’ private lives to help them stay in their homes. DRIVE / COACH — A garbage truck driver for the City of Olympia (AFSCME Council 2) talks about his work, coaching for a local softball team, and the importance of his benefits, including paid sick leave, for himself and his family. CLEAN ROOM — Heather moved to Moses Lake a few years ago to work as a metrology research scientist at Moses Lake Industries, which supplies high-purity chemicals to the semiconductor and flat panel industries. To heal an aching heart, she takes to the sky. BACK TO THE FARM — A third generation Moses Lake man goes away to get his degree in chemistry and is surprised — and pleased — to return home to work as an organic chemist for Moses Lake Industries. HOME / CARE — Tati (OPEIU Local 8) explains how her “soft” approach to fragile, vulnerable clients earns their trust.